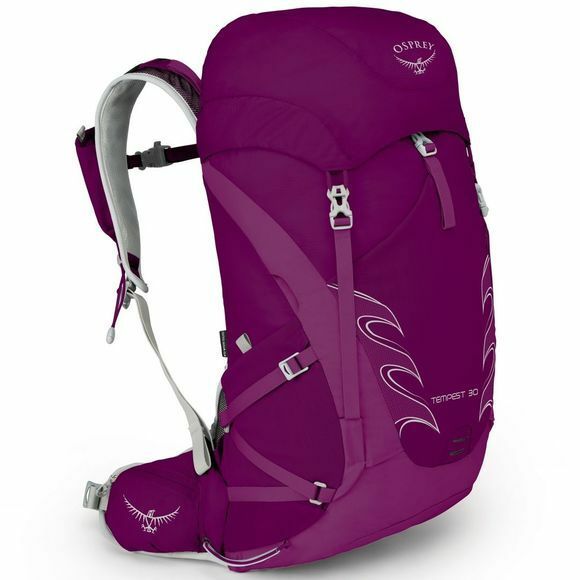 The technical Women's Tempest 30 Backpack is a gender specific and perfect for fast day raids into the wilderness, but with enough volume for lightweight weekend challenges. 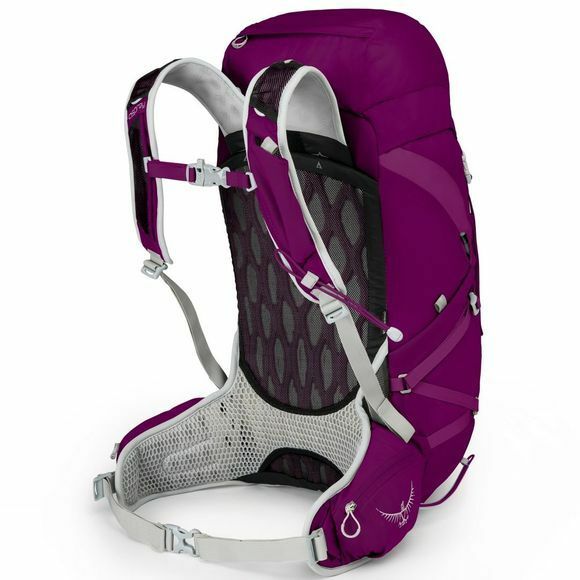 Breathable ventilation is key as the pack sits securely allowing you freedom to roam with your kit stable and safe. The AirScape mesh covered accordion foam back panel has ridges that fit to the contours of your body, keeping the load close and aiding your stability. Air chimneys run through the foam, letting air circulate around your back to keep you cool. The lumbar to hipbelt body wrap is seamless and shaped to provide comfortable contact with your body and it works with the back panel to reduce the movement of the pack when you are moving fast. The ErgoPull waistbelt simplifies the adjustments of the hipbelt. With Osprey's Stow-on-the-Go feature, you can quickly and easily attach and release your trekking poles without having to take the pack off your back or stretch uncomfortably and the Power Mesh front stretch pocket will swallow all manner of gear, be it a fleece or a flask.